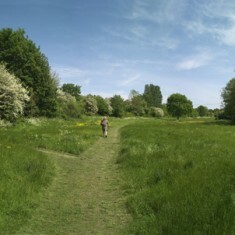 Rodden Meadow is an ancient meadow just minutes from the town centre. Situated next to the river, the meadow was used for sheep grazing & teasel cultivation in the past – meaning it was essential to the textile trade that saw Frome develop and prosper. 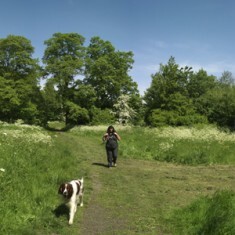 Nowadays it’s a natural wildflower meadow, great for peaceful walks to and from town – and the perfect spot for a weekend picnic or a quiet lunchtime sandwich. We manage the site with a nod to the traditions of the past, using scythes for cutting. This helps to encourage the patchwork of grasses and wildflowers you’ll find here in the summer. 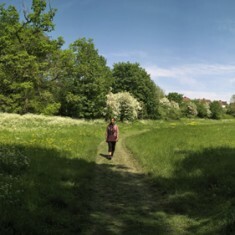 Rodden Meadow can be reached via Willow Vale at one end; or from River Walk & New Road at the other end. There are joining paths off Rodden Road, too.